OTTAWA – Canada's cyber spy agency is warning that in 2019—an election year—foreign countries are "very likely" to try to sway Canadians' public opinion with misinformation online. "In the coming year, we anticipate state-sponsored cyber threat actors will attempt to advance their national strategic objectives by targeting Canadians' opinions through malicious online influence activity," says Communications Security Establishment (CSE) in a newly released report on the current cyber threat environment Canada is facing. "If we look back over the last few years I think the online influence activities caught us off guard with how vulnerable a democracy was," said Scott Jones, head of the government’s new Canadian Centre for Cyber Security, adding that despite this, open and free flowing information remains critical to Canadian democracy. "We are absolutely vulnerable to this type of activity but we can chose to be more critical consumers of information and be less susceptible to it," Jones said. CSE officials speaking on background to reporters prior to Jones' media availability on Thursday said that these attempts to manipulate public opinion can be carried out online by using bot accounts posing as someone they are not, amplifying misinformation on social media and creating fake news stories meant to amplify extreme opinions, polarizing public debate. The officials classified this as a "widespread" issue across social media platforms, with these foreign nations' motivations being to discredit the democratic process, and sow division. The 2018 cyber threat assessment was released by the Canadian Centre for Cyber Security, the federal government's public-facing hub of cyber information. It's part of the Communications Security Establishment, otherwise known as the federal spy agency. One example cited in the threat assessment was that now-deleted Twitter accounts connected to a Russian agency that was involved in spreading disinformation ahead of the 2016 U.S. presidential election. These accounts had tweeted about events in Canada or Canadian issues, 8,000 times. These included posts with false information about the Quebec City mosque shooting and about the uptick in asylum seekers crossing the border. Last year CSE issued a report that found that Canada's democratic process is not immune to potential interference by outside actors. "There's no simple answer," said one CSE official, who said it’s a trend they are tracking. An update on the specific threats to Canada's democratic institutions is coming in spring 2019. The threat assessment predicts that Canadians will almost certainly encounter "malicious online influence activity" in 2019. 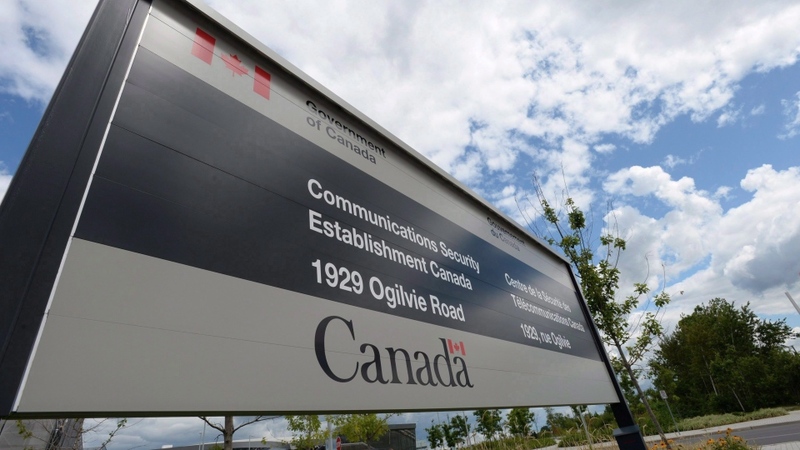 CSE officials said that while there continues to be benefits from increasing online connectivity and technologies, they also bring new threats to Canadians' cybersecurity. The intention of the report is not to scare, but rather to educate Canadians about the threats they are facing, while offering suggestions on how to protect against these actions, from using trusted news sources to verify information, to not clicking suspicious links, and regularly changing and protecting your passwords. "When I was growing up we didn’t lock our doors because you didn’t have to worry about it, and then suddenly we did… and then you had deadbolts and then you have a security system, things like that because we started to get concerned about breaking and entering," Jones said, comparing locking your door to taking these "basic" cyber security steps. The federal agency considers a cyber threat to be "an activity intended to compromise the security of an information system by altering the availability, integrity, or confidentiality of a system or the information it contains." There are also different kinds of malicious online cyber activities, such as adware; intercepting communications; phishing; and spyware. There are various kinds of actors who carry out these activities, with different motivations and with a range of sophistication; including nation state actors whose motivations are often geopolitical, while cybercriminals are motivated by profit. The biggest threat Canadians and businesses in this country face according to the report, is cybercrime. This includes attempts to steal personal and financial information as more households increase the number of internet-connected devices they own, from thermostats to cars; and increase the scale and sophistication of activities to exploit retail technology, exploit vulnerabilities in the supply chain, and seek to breach customer and client data. The report also warns that state-sponsored actors will continue conducting cyber espionage on businesses and critical infrastructure in Canada to advance national objectives. Though, CSE says that it is "very unlikely" that without major escalation in international tension, that Canada would be subject to this kind of infrastructure disruption. 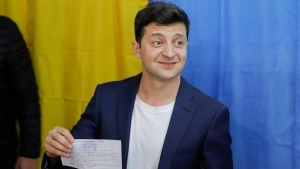 The 2019 election will be held in new cyber threat environment, are we ready?